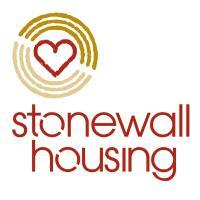 Stonewall Housing is the specialist lesbian, gay, bisexual and trans(LGBT) housing advice and support provider. We provide free, confidential housing advice for LGBT+ people of all ages. We also provide supported housing for young LGBT+ people (41 spaces), a limited number of supported housing for people 25+ (currently 12). Camden drop-in at Origin Housing, St Richards House, 110 Eversholt Street, London, NW1 1BS. Please note we do not offer walk in appointments at our Islington address. Appointments available if booked in advance or attend one of our drop in services. Camden drop-in Wed 2-3.30pm. All advice services are free. We only accept referral if the person to be supported identifies as lesbian, gay, bisexual, trans, or another sexual or gender minority (LGBT+). We welcome self/direct and professional referrals. You can access our services by our online referral form;by calling our advice line on 020 7359 5767; or by visiting one of our drop in session details of which can be found on our website. Our venues are wheelchair accessible. Interpreters available but must be arranged in advance.